The introduction of the bitcoin, a digital currency may change the way the chips fall! Bitcoin is an innovative payment network and a new kind of money. Last week, The D Las Vegas Casino Hotel and the Golden Gate Hotel & Casino will begin collecting the digital currency that merchants increasingly are starting to accept. The two downtown Vegas properties, which share an owner, will accept the currency at five locations, including their front desks and the D’s Gift Shop. Guests also can use the currency at the D Hotel’s American Coney Island hot dog shop and Joe Vicari’s Andiamo Italian Steakhouse. The Bitcoin purchases will be processed through BitPay, which allows merchants to accept Bitcoins just as they would Visa, MasterCard or Paypal. Bitpay offers an easy bitcoin shopping solution. Bitcoin has been around for years, but it is slowly gaining traction among mainstream merchants. 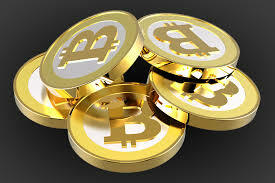 Last week, online discount retailer Overstock.com began accepting Bitcoins. Will this be the end of cash and chips?